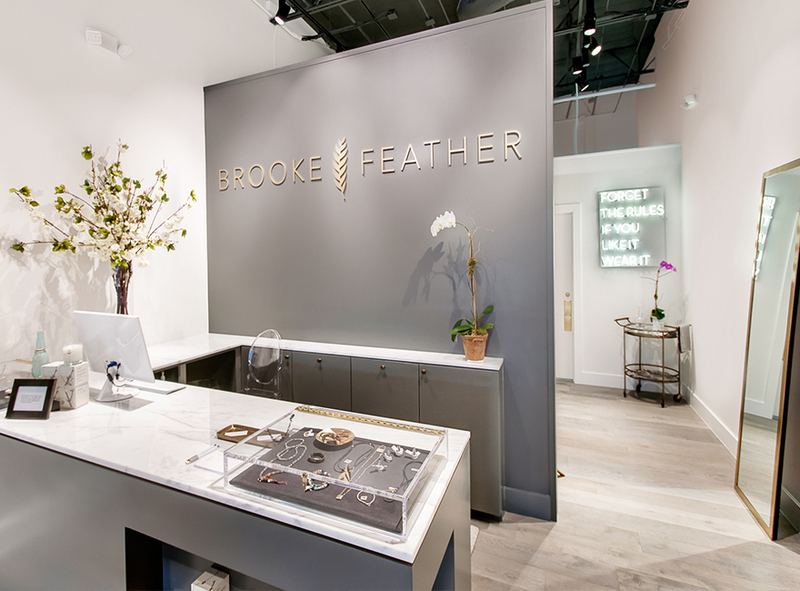 Brooke Feather is a high-end women’s clothing and accessories boutique situated in the neighborhood of River Oaks in Houston, Texas. 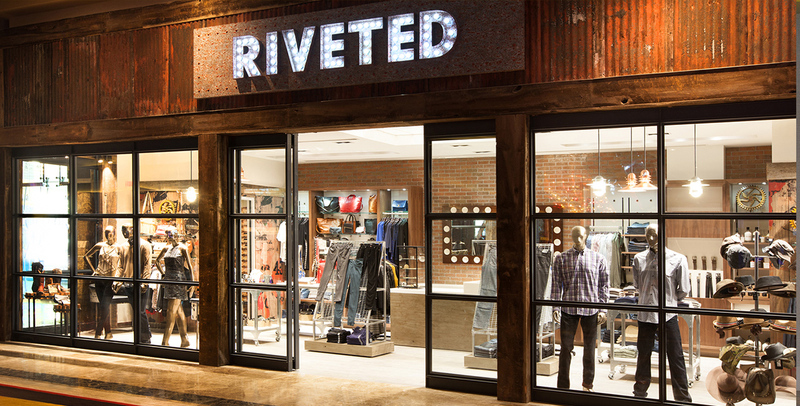 Its mission is to bring west coast style to Houston through an assortment of apparel and accessories. 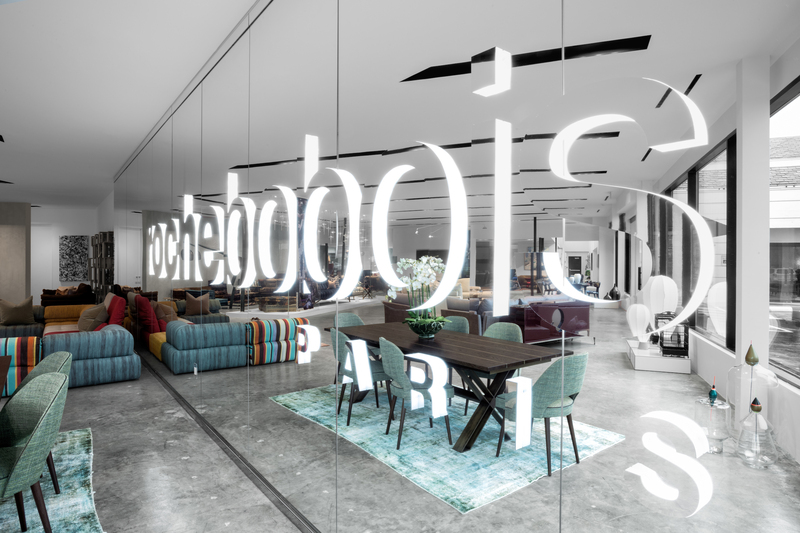 The lease space they inherited – 15 feet wide, very narrow, with an industrial style, exposed ceiling – needed to be transformed into a high-end boutique, on a very limited budget. The space also needed to infuse the concept of beautiful simplicity and west coast style. 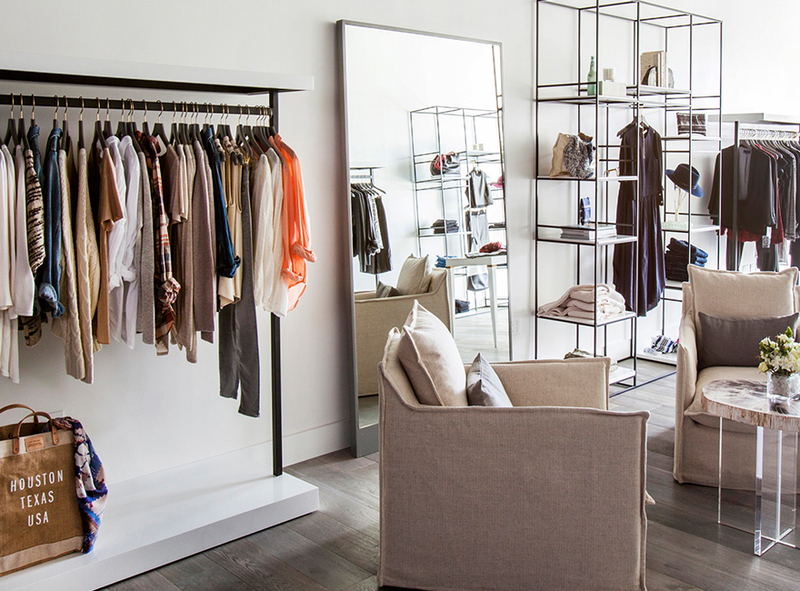 To create the illusion of width and space, the walls were painted white, the grey stained floor was laid to run the width of the store, and the display racks and mirrors were deliberately simple and monochromatic. The ceiling and ductwork were painted a dark grey to create warmth, as well as add another dimension of space. 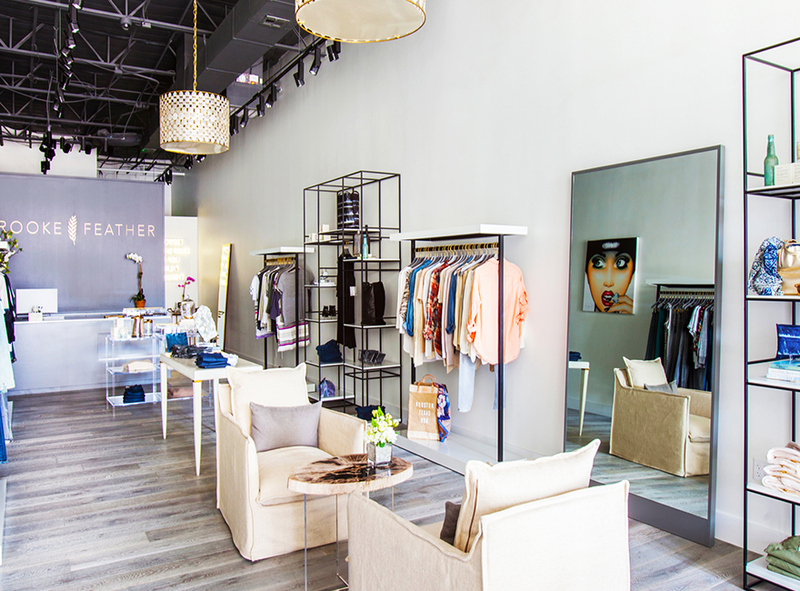 A neutral color palette was selected so that merchandise could take center stage. Instead of the standard boutique chandelier, pendant lighting that echoed the concept of beautiful simplicity replaced the industrial ceiling fans. 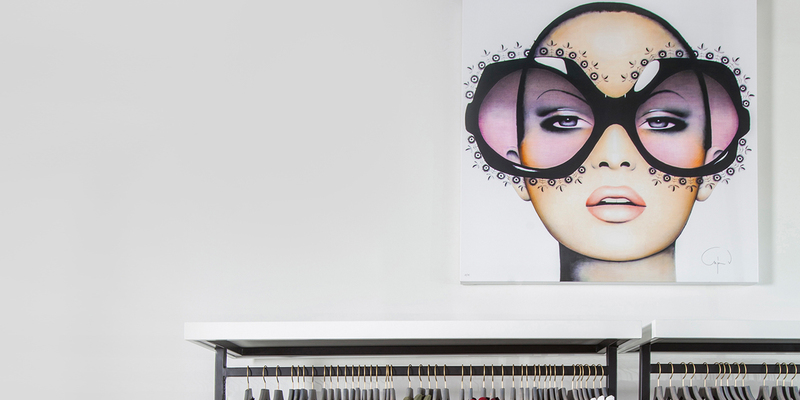 To further proliferate the upscale, yet west coast boutique style, natural elements such as wood and linen were infused through the furniture pieces, while the art pieces selected were hip and fashion-inspired.